Thembo Monareng (TuksAthletics) will have big shoes to fill on Friday when he competes in the 100 metres at the Varsity Athletics Meeting at Tuks. 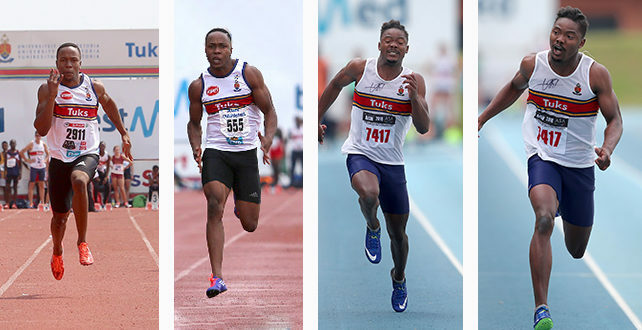 Since the inception of the Varsity Series in 2013, Gideon Trotter (Kovsies) is the only sprinter from another university to have won the 100 metres, and he did so only once. Simbine won the short sprint on a few occasions as has Thando Roto. Last year Gift Leotlela won in a time of 10.12s matching the South African junior record he had set earlier. After his Varsity Athletics career finished Simbine went on to set a new South African record running 9.89s. The big highlight without doubt was his performance at the 2016 Olympic Games in Rio. He became the first South African athlete in 84 years to compete in the 100 metres final at the Olympic Games. He finished 5th in 9.94s, missing out by only 0.03s to win a medal. 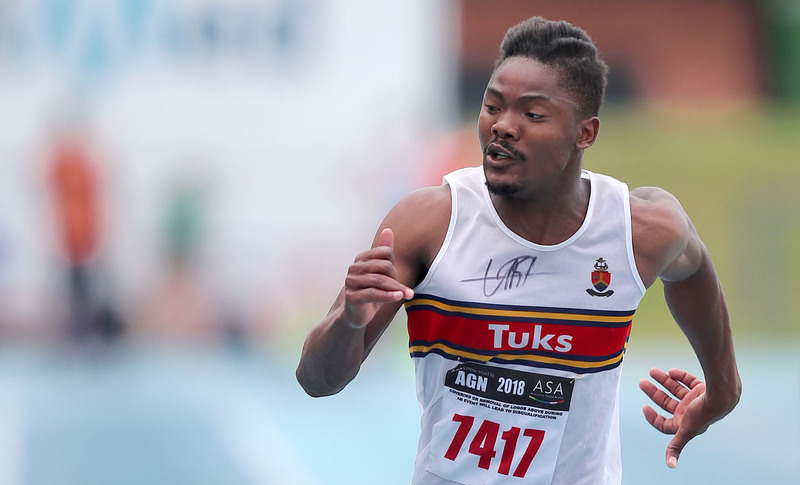 Last year Roto became only the fifth South African sprinter to dip under 10 seconds clocking 9.95s and he went on to win a silver medal at the World Student Games. So the pressure is definitely on Monareng to keep the proud tradition going. Judging by his performance over the weekend during the Gauteng North Championships he is up to the challenge. The 19-year-old sprinted to a third-place finish in the 100 metres final. His time was 10.18s unfortunately because of the wind metre reading from behind it is not official. What was exciting is how the young Tuks sprinter did not allow himself to be intimidated by his much more experienced rivals. In the semi-final, he was leading Anaso Jobodwana who is a medallist at the World Championships for the first 60 or so metres. In the final in which Henricho Bruintjies a sub ten seconds sprinter was also competing Monareng was again leading. Inexperience possible cost him the race. It as if he could not believe what was happening. Hennie Kriel who coaches Monareng was not surprised at what happened. He had already in January predicted that Monareng has what it takes to become a force in sprinting. 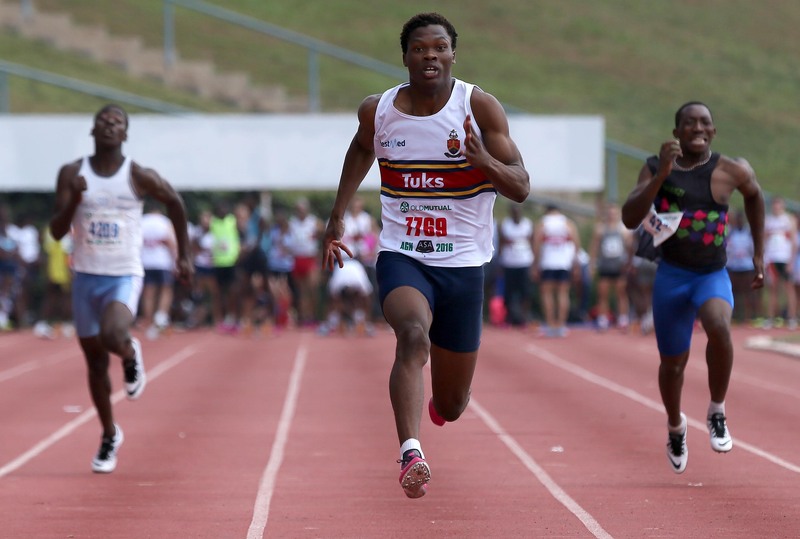 Monareng who last year won the 100 metres at the South African and African Junior Championships has himself got high expectations. Officially his best time in the 100 metres is 10.34s, but he is confident that he is capable of running much faster times. He has set his sights on at least improving on Leotlela’s South African record this season. So a time of 10.10s is indeed on the cards. It might just happen on Friday weather allowing. 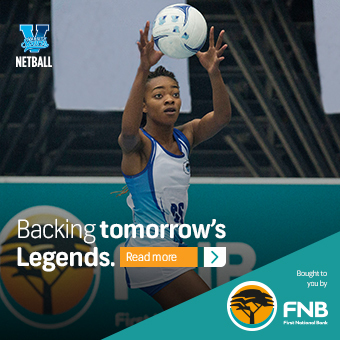 Monareng admits that his showing against the likes of Jobodwana and Bruintjies is a sure confidant booster. Friday’s meeting starts at 17:00.